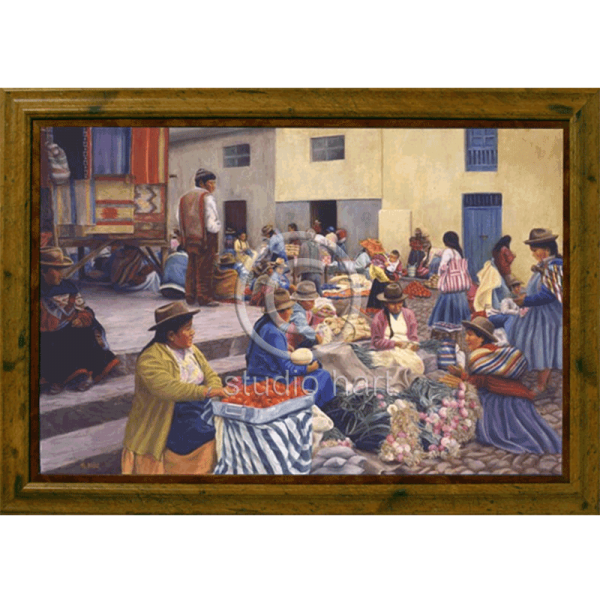 This print copied from my original, is the very traditional Sunday market in Pisac, Peru. The market attracts both locals for the huge produce section and scores of tourist for handicrafts. Not coincidentally, Pisac is where Wanderlust Jewelry is made. A very popular print, ask my mom, sister, aunt and best friend! Materials: Giclee print on canvas, mounted on board. Simulated wood frame, distressed pecan. Size: Canvas 21×31″. Framed 25×35″.